Under the Sea - Pacific White Sided Dolphin, British Columbia. 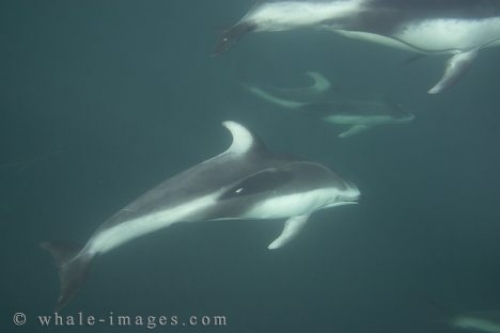 These Pacific White Sided dolphins were casually cruising under the sea in the waters of Johnstone Strait in Canada's British Columbia. Although they were curious at our presence to begin with and stayed a while to check out the camera, they soon continued on their way. We just happened upon this large pod of dolphins and couldn't resist a shot of them under the sea.